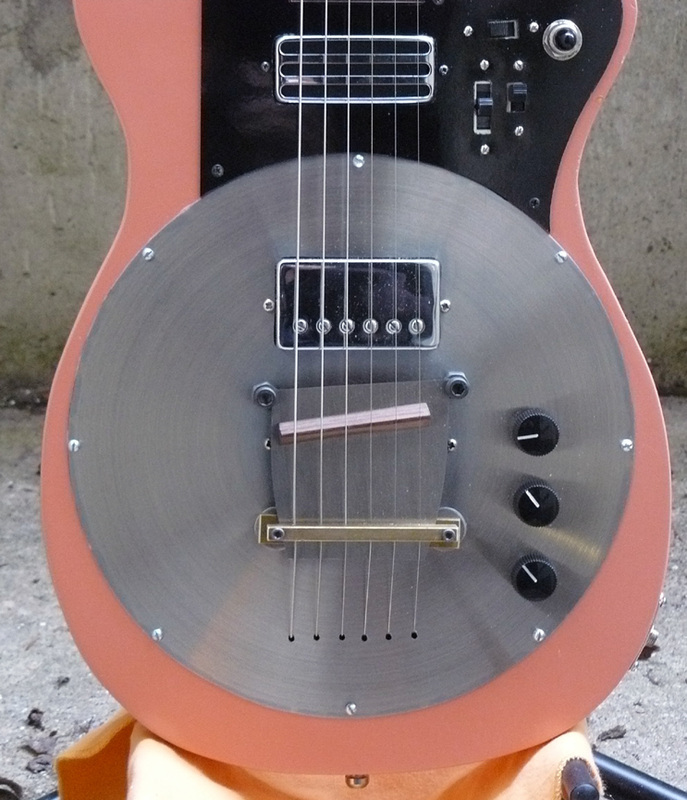 This was a design that was sparked from a friend who lent me a tracing of a Harmony H44 short scale body and a DIY resonator project that employs a spring steel carbon blade cut from a spackle knife. 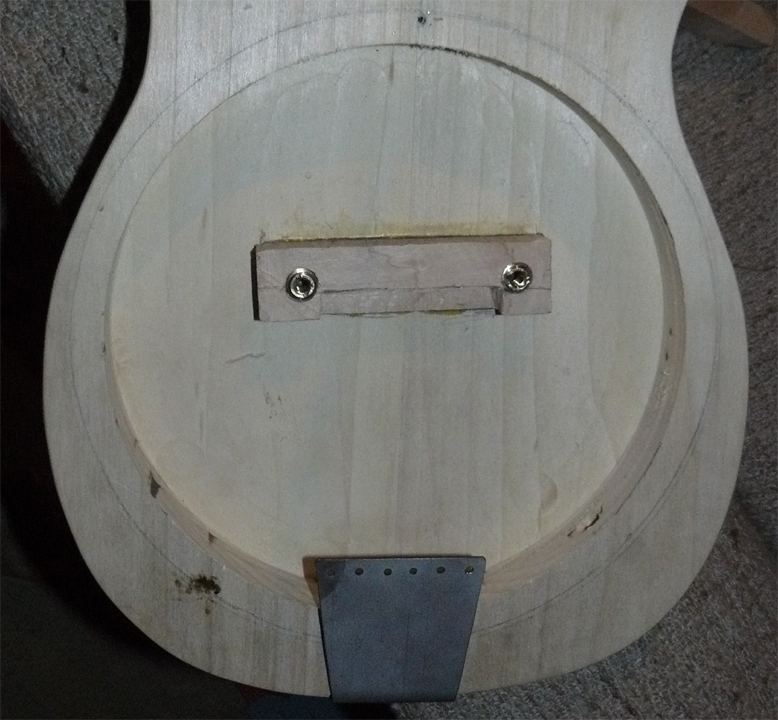 The guitar is very versatile, able to switch from regular pickups to resonator tone to a mix between the two. 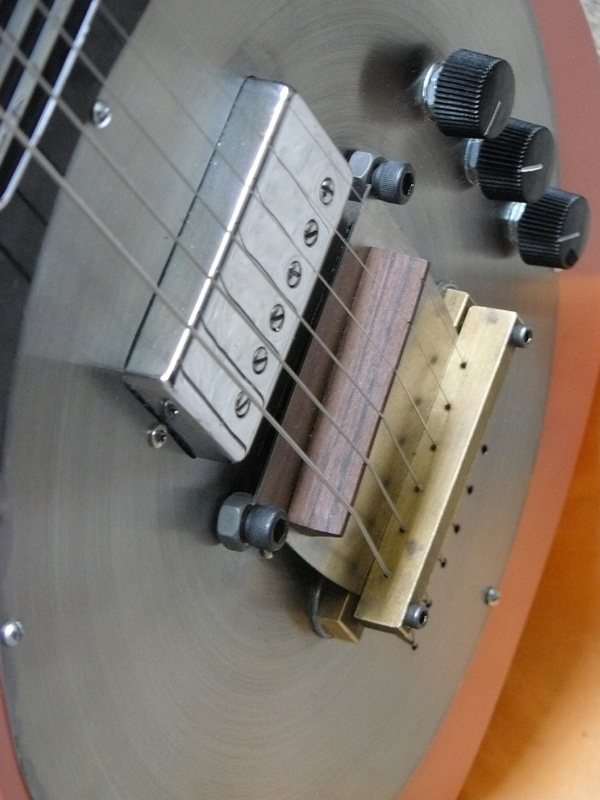 There is over 16 pickup variations to be had with this, and three volume controls that control the blade pickup, piezo's and regular humbuckers. 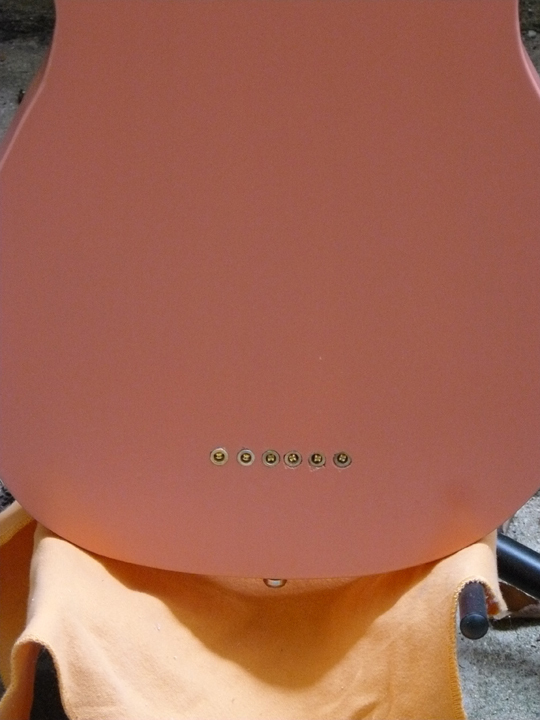 The steel pan was a steel serving tray acquired from a junk shop. 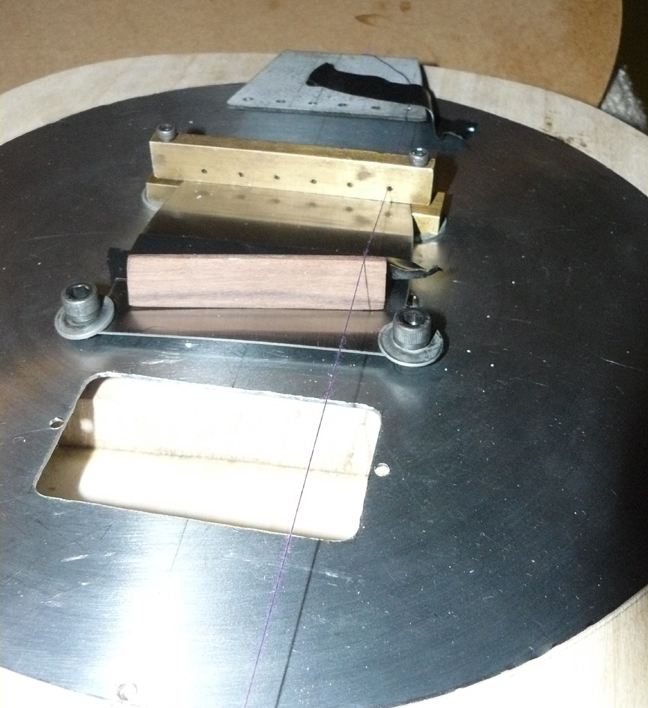 The bridge is a cut piece of rosewood, the pickguard is some phenolic material. 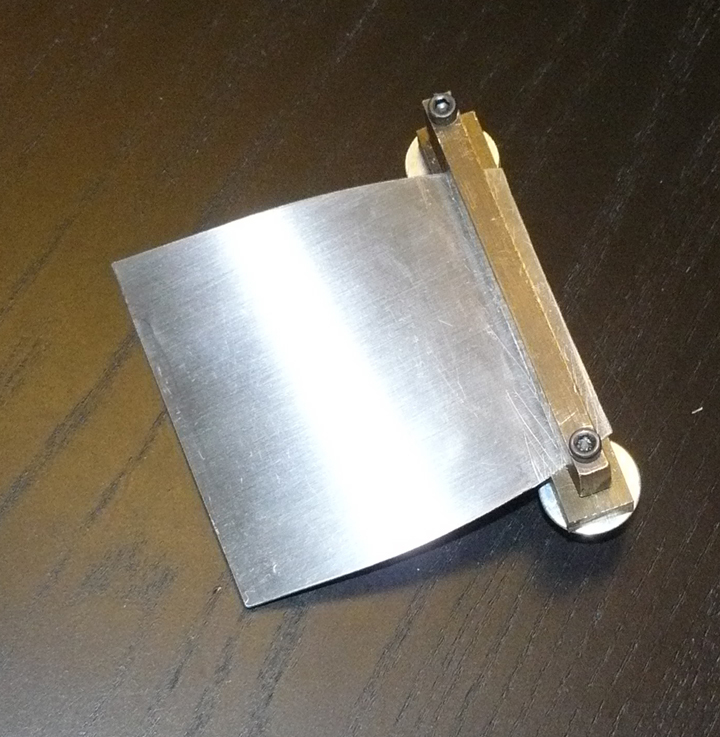 Maple block w/ brass inserts for allen screws to support blade. 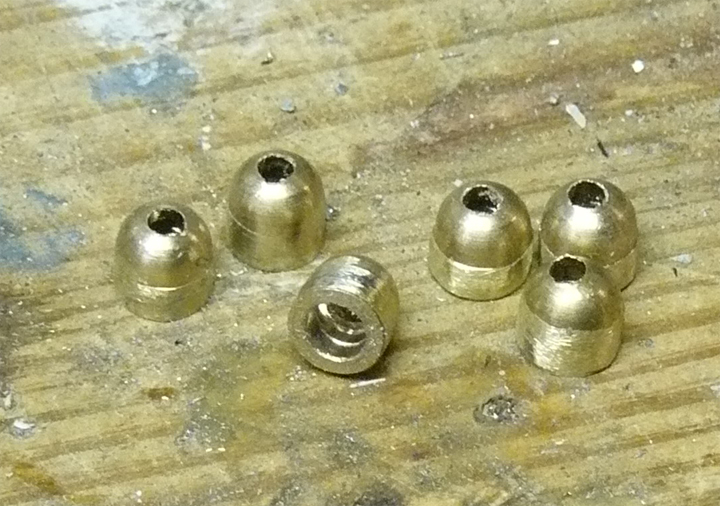 Brass acorn nuts filed down for string ferrules. 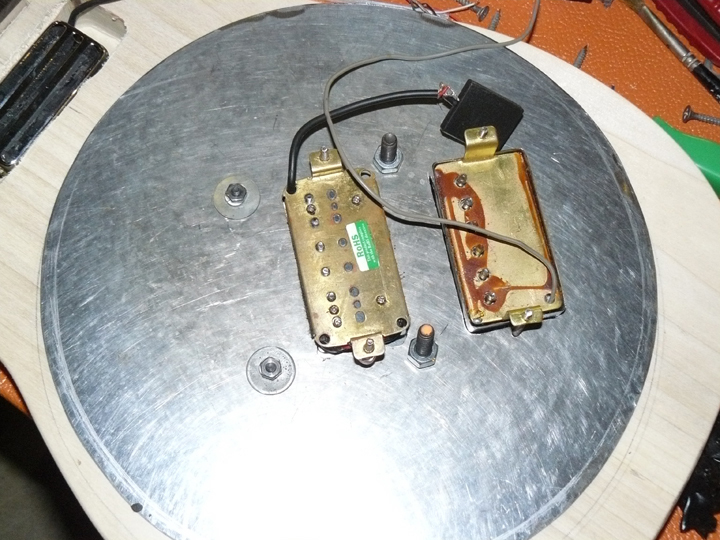 jack plate. 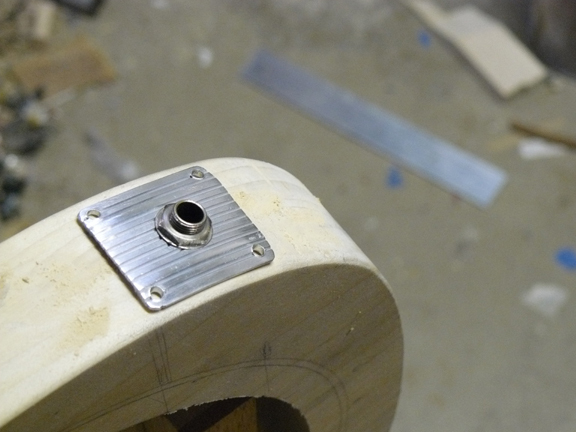 Aluminum threshold material. 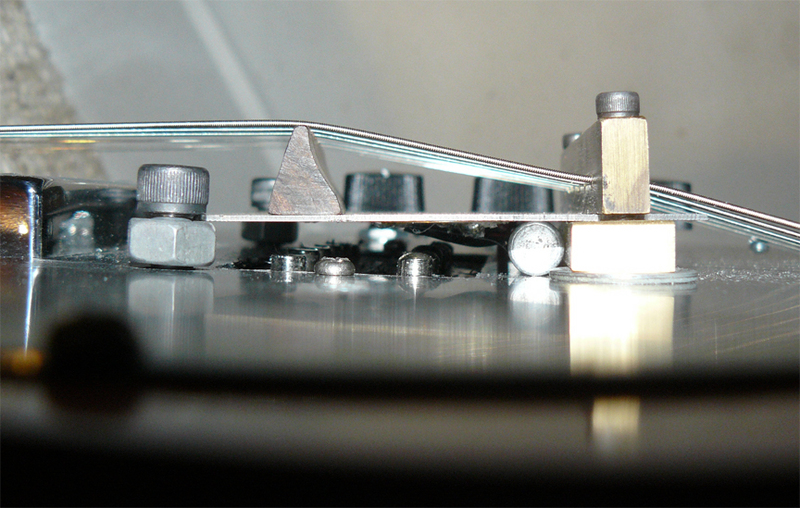 Under the plate. 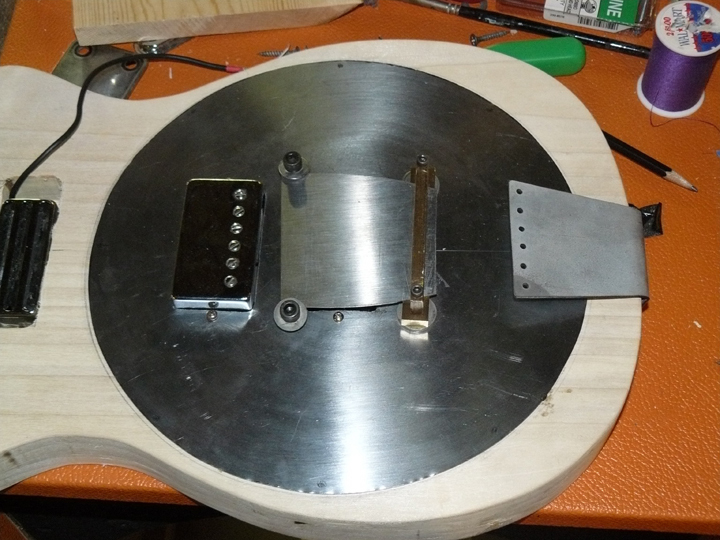 Bridge and blade humbucker with one of the piezo elements before being dismantled. 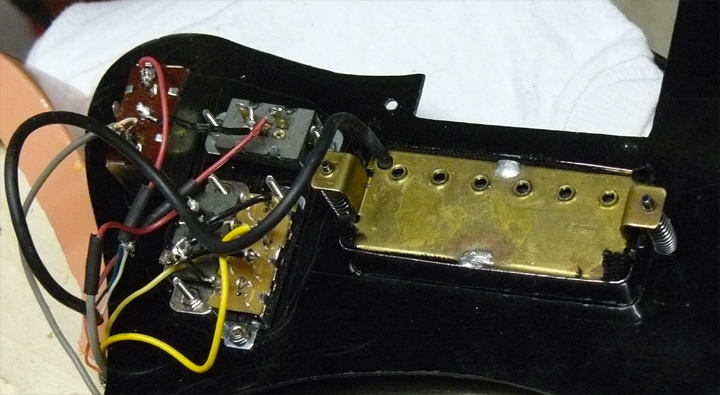 the wiring and neck pickup. 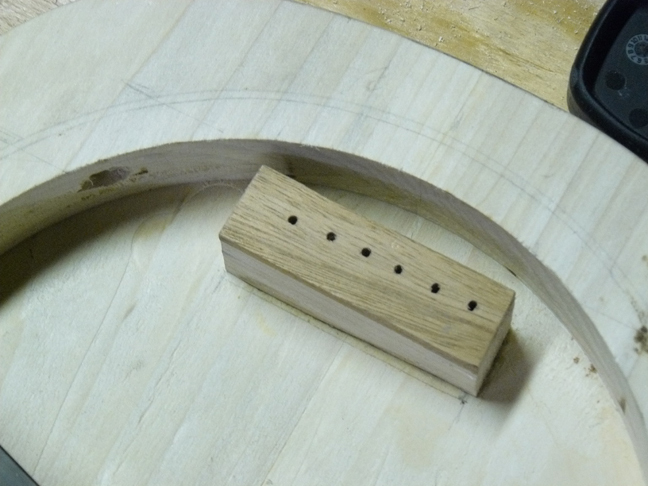 The switching is two on/off slider switches, two on/on/on slider switches and a 3 way toggle.